How was everyone’s weekend? I had a nice, relaxing weekend at home with my parents. We went out to my favorite restaurant, Yu’s Mandarin in Schaumburg, IL. It is crazy good! If you live in the area and have never been, I suggest it. We always get the appetizer sampler that comes with eggrolls, shrimp toast, chicken and beef skewers, and crab rangoon. Their crab rangoon is my absolute favorite. The Mongolian 3 Ingredients (beef, chicken, and shrimp) and Singapore Noodles are my 2 favorite entrees; I always get one or the other and I’m never disappointed. 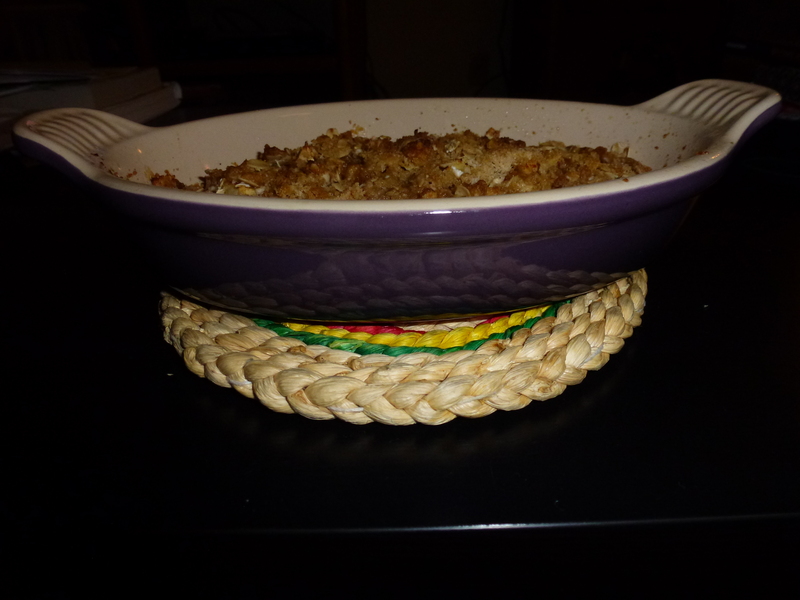 The best part: I get to take the leftovers to lunch tomorrow, woo! We also watched the movie “The Heat” with Sandra Bullock and Melissa McCarthy. It was hilarious! I think both of them are great actresses and together they were even funnier. Melissa’s character was completely ridiculous and had me laughing pretty much the entire movie. 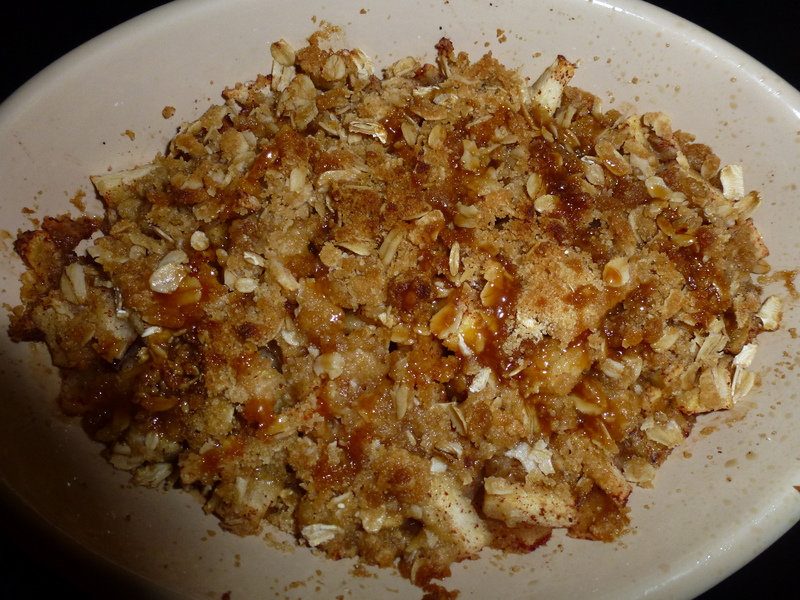 I have a dessert recipe for you and I’m very excited about it: Caramel Apple Crisp! The perfect autumn treat! Preheat oven to 375 degrees. Peel then chop apple into small, 1/4″ cubes. 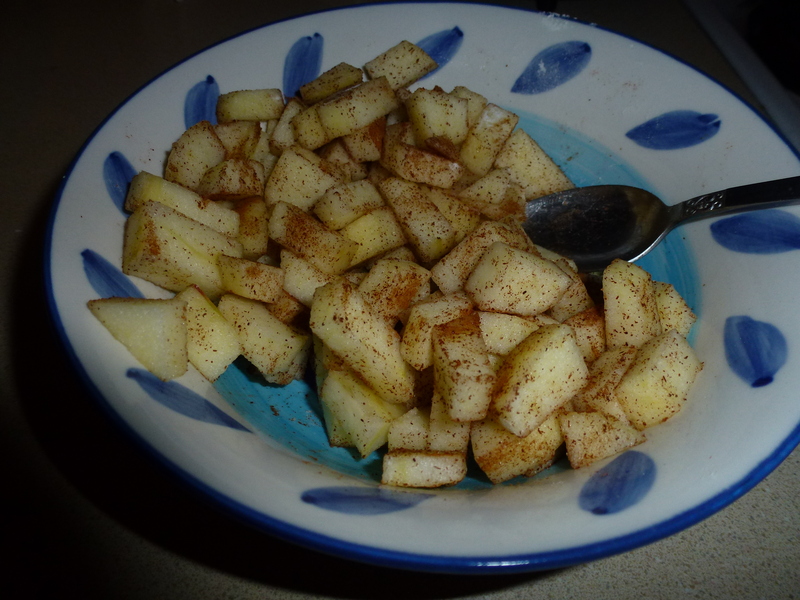 Mix apple with 1/4 teaspoon each flour, sugar and cinnamon in a small bowl, then pour into a small, non-stick sprayed baking dish. 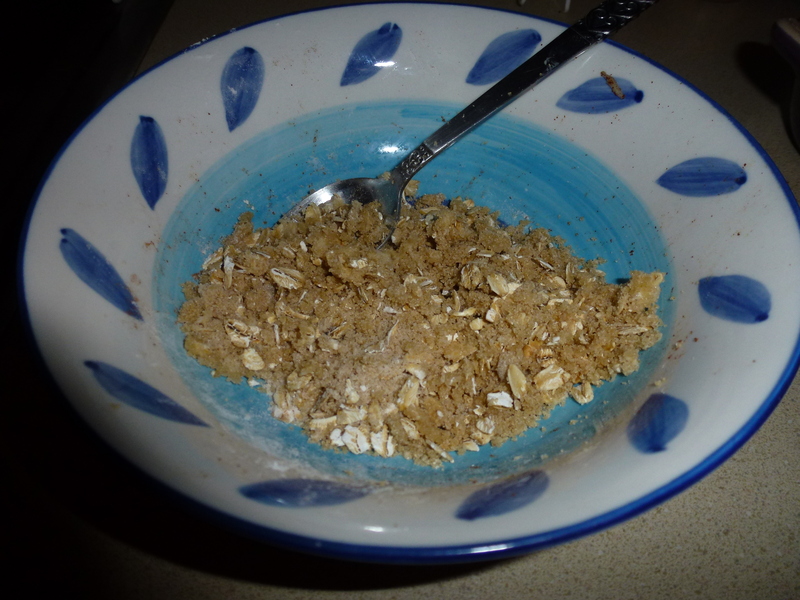 In the same bowl combine 2 tablespoons brown sugar, 2 tablespoons oats, 3 teaspoons flour, and 3 teaspoons cold butter. 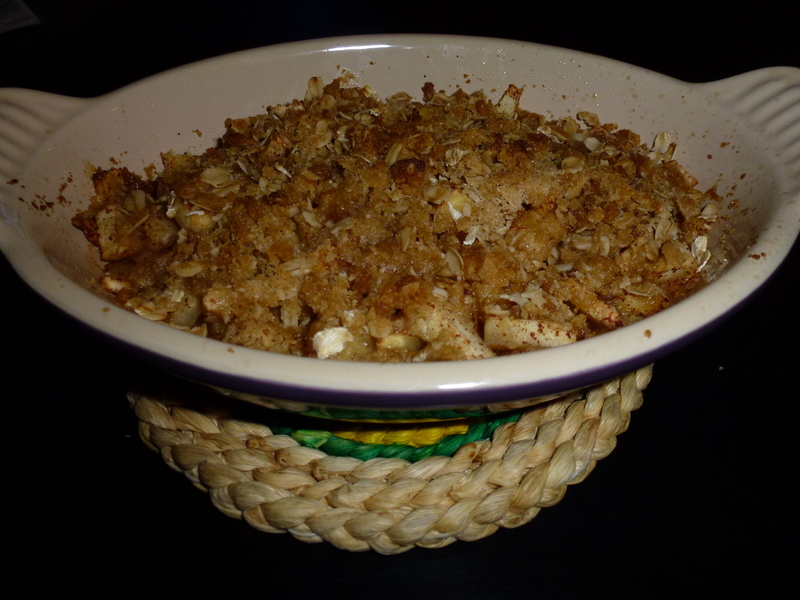 Mix the ingredients with your fingers until butter is well distributed among the rest of the ingredients. 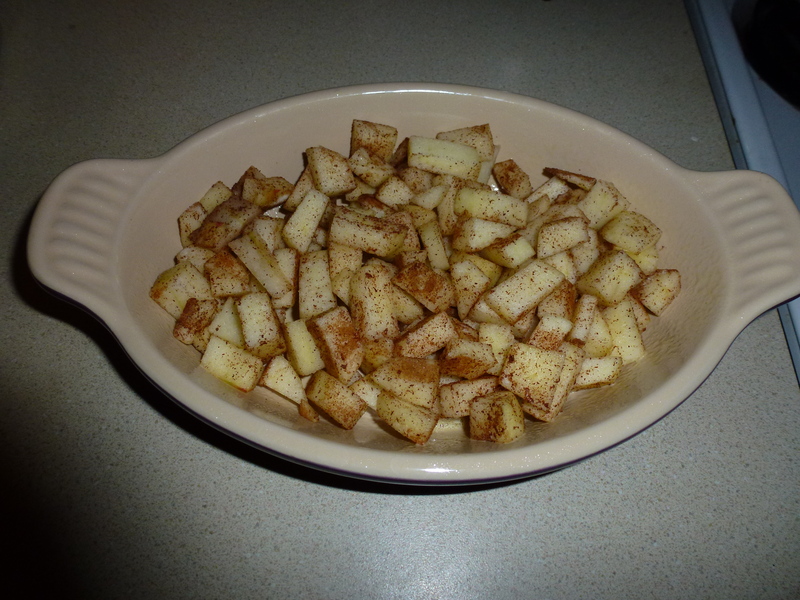 Pour the mixture on top of the apples and bake for 15-20 minutes, or until crisp is golden brown. 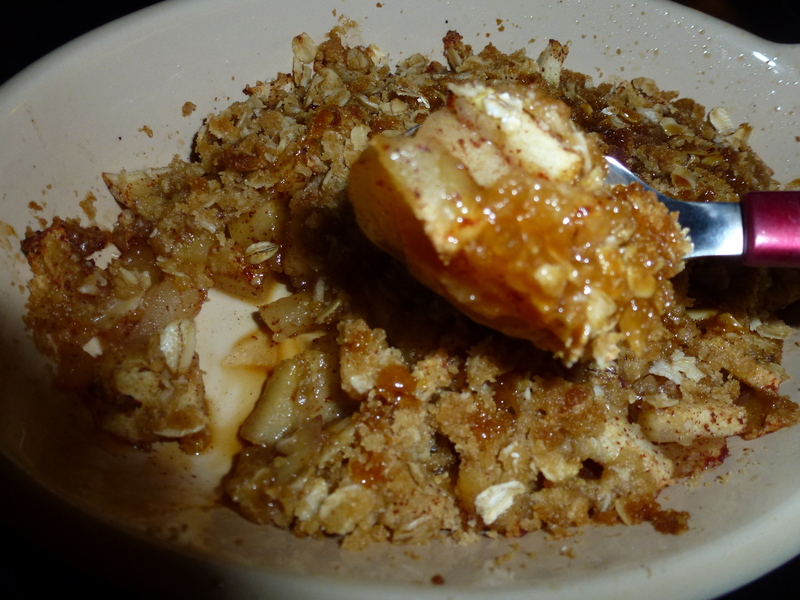 Heat 1 tablespoon of caramel sauce in the microwave for 15 seconds and drizzle over the apple crisp. I have a confession… I ate the whole thing by myself. I couldn’t help it, it’s just so good! 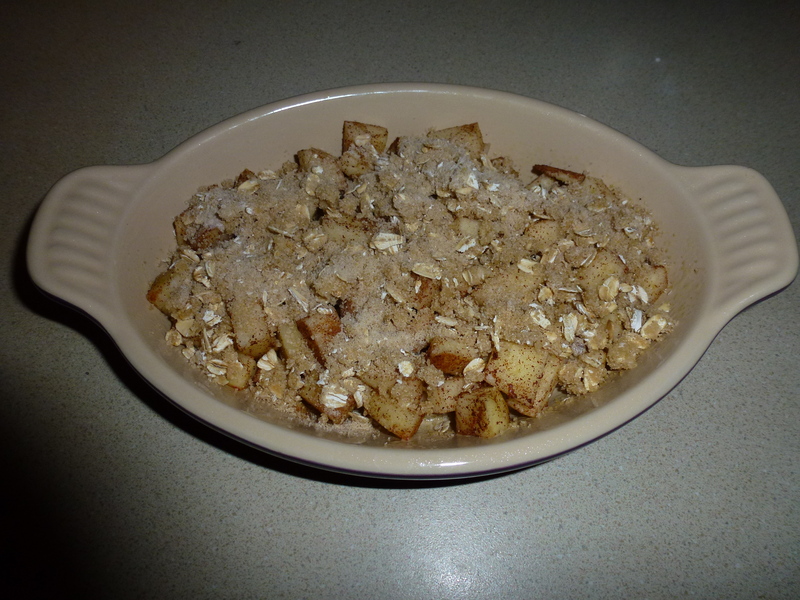 The cinnamon apples, warm caramel, and crispy topping… mmmmm. Try this! 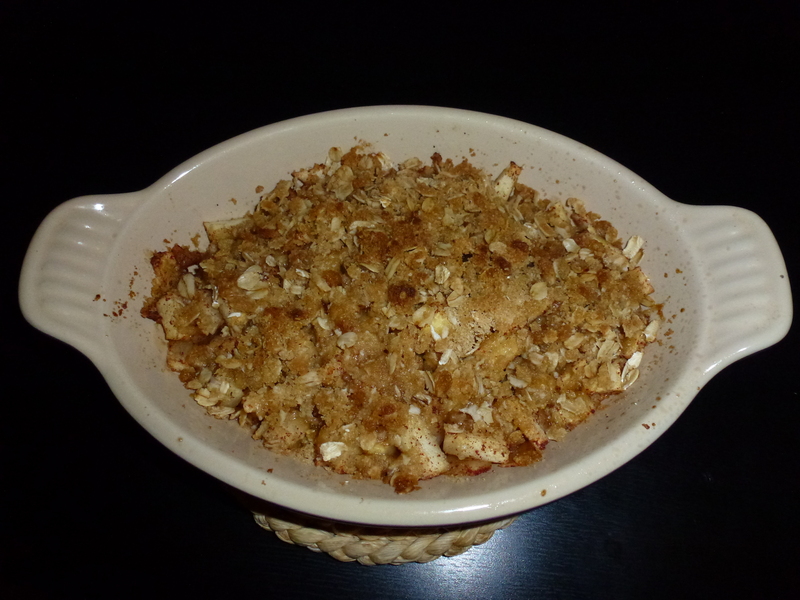 This entry was posted in Desserts and tagged apple, Apple crisp, autumn, caramel, Caramel Apple Crisp, cinnamon, dessert. Bookmark the permalink. Love Yu’s! Did you see the noodle show? It’s so good. We didn’t see it this time because we went a bit early but we’ve seen it before – it’s cool!